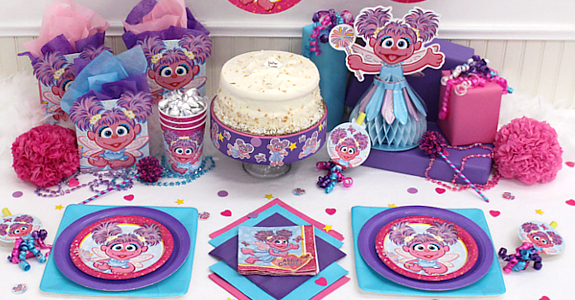 It is party planning time! Well...I was trying to figure out what kind of party I should throw for Josselyn's 2nd Birthday. 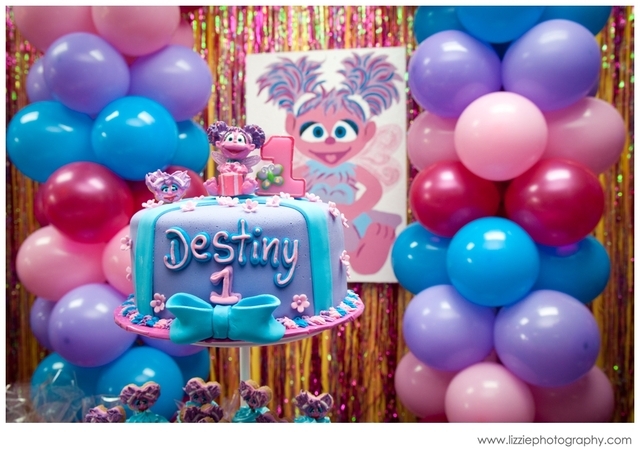 Her 1st birthday was a huge, over the top, Under the Sea Mermaid Party! Here is the blog I wrote about it: An Under the Sea Mermaid Party! Her 1st birthday turned out wonderful and although I love going all out, I decided to scale back quite a bit with this party. My husband would kill me if I went that crazy for every birthday especially since we have 2 girls now!!! I chose the "mermaid" theme last year since Josselyn was only 1 and she had no clue what was really going on. This year I decided to go with something Josselyn actually loves. Josse loves balls (but I refuse to have a ball party for a girl), she loves Yo Gabba Gabba (I can not stand that show), she loves animals (I contemplated a party at the ranch or having a petting zoo but August is just way too hot) & she loves Sesame Street (hmmm something I can actually work with). Josse adores Elmo & Abby Cadabby so I decided to go with an Abby Cadabby Fairy Pool Party! I am not huge on "cartoon" themed parties but I figured Abby is pretty darn cute for a cartoon and I can incorporate butterflies, flowers, pink, purple, etc with the Abby party theme. So there you have it I decided to have an Abby Cadabby Fairy Party for Josselyn's 2nd Birthday! 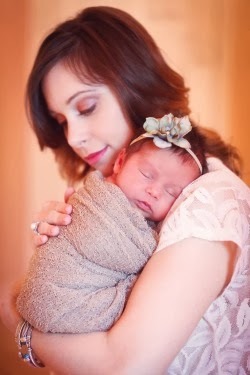 I then did what every mom now does when planning a party....I started a "secret" Pinterest board to get some good ideas! Here are the few of the ideas I found that helped me plan Josse's Abby Cadabby party. Invitations set the tone for any party! I searched Pinterest & Etsy for cute Abby invites and below are the ones I liked the most. I found so many fun ways to decorate for an "Abby Party" but the key is to keep this party low key, budget friendly and not go overboard. The one thing I saw that I have to have is Abby Cadabby fabric! I just loved how this one Abby party on Pinterest used Abby fabric as a table topper for the food table. Luckily, I did find this awesome fabric at Hobby Lobby!!! I definitely want to have a couple bouquets of balloons at the party incorporating the colors (pink, purple & aqua) and then I want to have a huge Abby Cadabby mylar balloon in the bouquet! I am a total sucker for tissue paper balls and paper lanterns. I know I always use paper lanterns/tissue paper balls at the parties I throw, but I just think they add so much to a party. 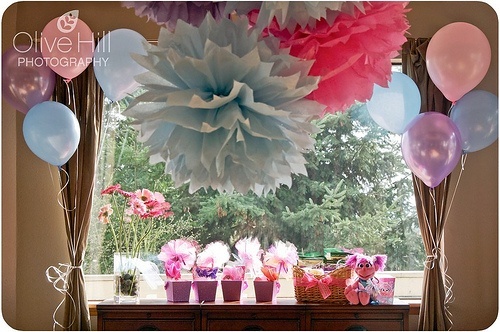 Plus, I already have pink & turquoise paper lanterns so how can I not use them?!?! Banners, banners, banners... I love hand made party banners! These suckers take so much time but they are just so dang cute! I have to make one or two Abby birthday banners for the party. My mom invested in a Cricut machine last year, so we have been on a roll making banners for every party we help plan! Here are a couple Abby banners I just love! 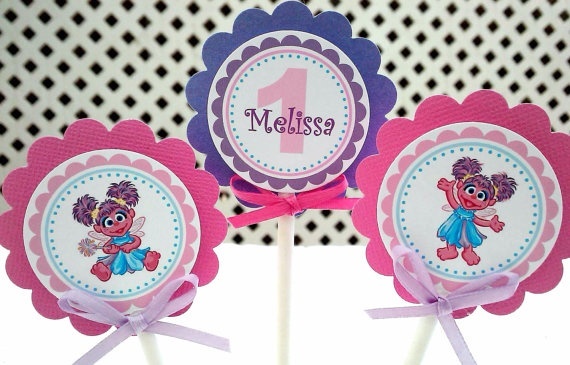 Lastly, a cute party wreath always add's a cute touch when the guests come & go. I have no clue what kind of wreath I am going to make but I do love this Abby Caddy inspired wreath I found on Pinterest! It is not easy coming up with food ideas for an Abby Caddaby pool party. I want to keep it simple since this is food for a 2 year old party but I do want to be creative. One of my very favorite things I have come across are sesame street character fruit/veggie platters! I am a total sweets girl & unfortunately so is Josselyn! We both love cake pops, marshmallow treats, and chocolate covered anything haha. 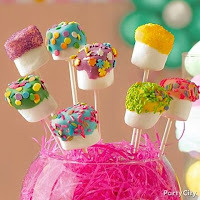 So here are a few of the cute dessert ideas I found! I totally love colorful punch so I know that I want to have some type of pink and maybe aqua colored punch for the guests to drink! Look how pretty this pink punch is! You can not have a birthday party without a cake (at least that is what my mother says!) I actually was NOT going to have a cake this year but instead have cupcakes. Cupcakes just seem so much easier for 2 year old party. However, YaYa (my mom) said that her granddaughter had to have an Abby cake lol So my mom is going to order a little Abby cake for Josse! 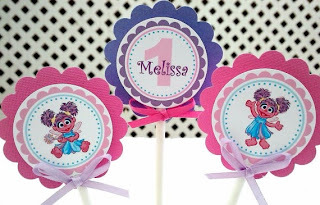 I am still going to have some cupcakes and make some cute Abby cupcake toppers to go on them. I love both of these cakes! 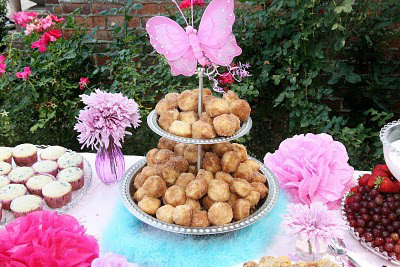 Wish me luck friends & thank you "fairy" much for reading my party planning blog post! 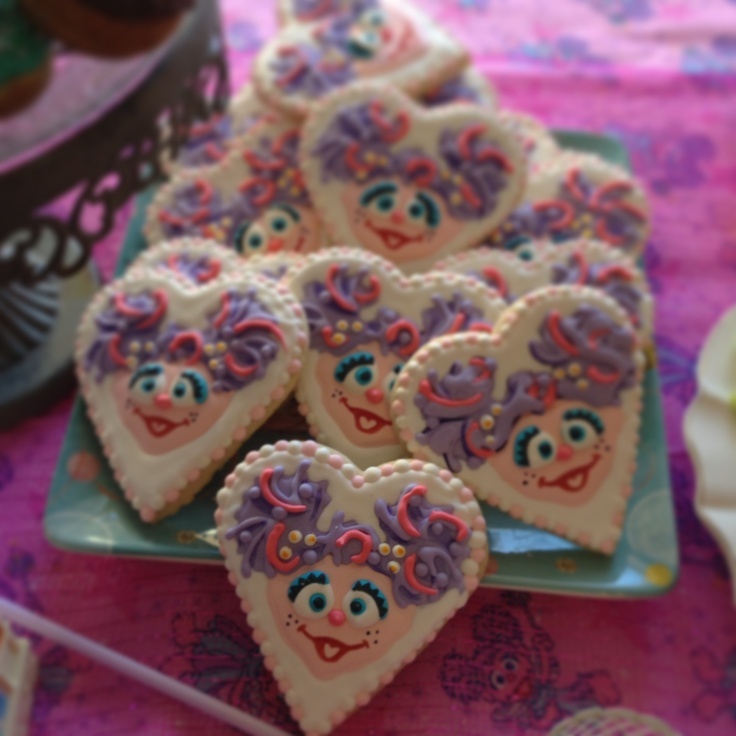 *Click on the link to see pictures from the party "An Abby Cadabby Birthday Party"
I was creeping on your blog and I JUST realized I never gave you cookie info!!!!! I am terrible!!! Please forgive me!! 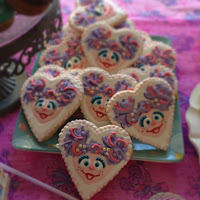 The same girl that did those Abby cookies did the butterfly cookies at Emmes party. Shes really talented and I think she ships her cookies. So sorry friend! After the ceremonial cake they also brought around milk and cookies. If you are looking for an elegant yet rustic venue with exceptional views - look no further.